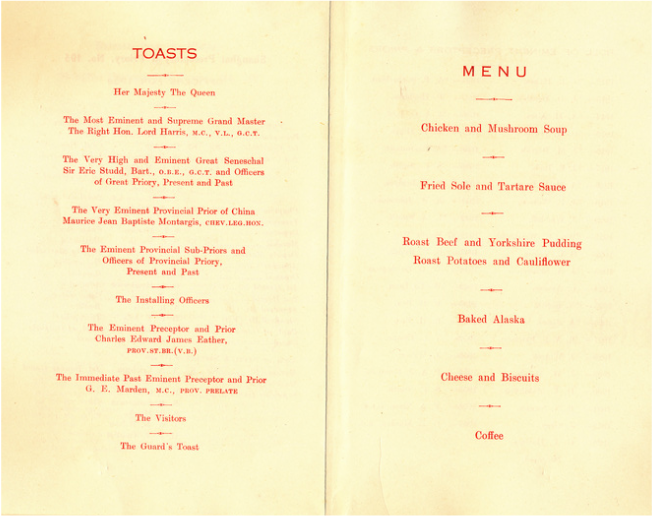 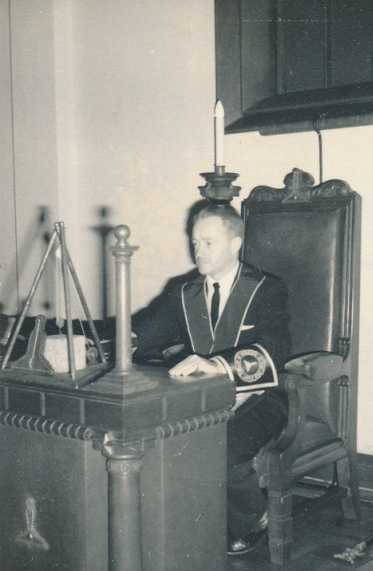 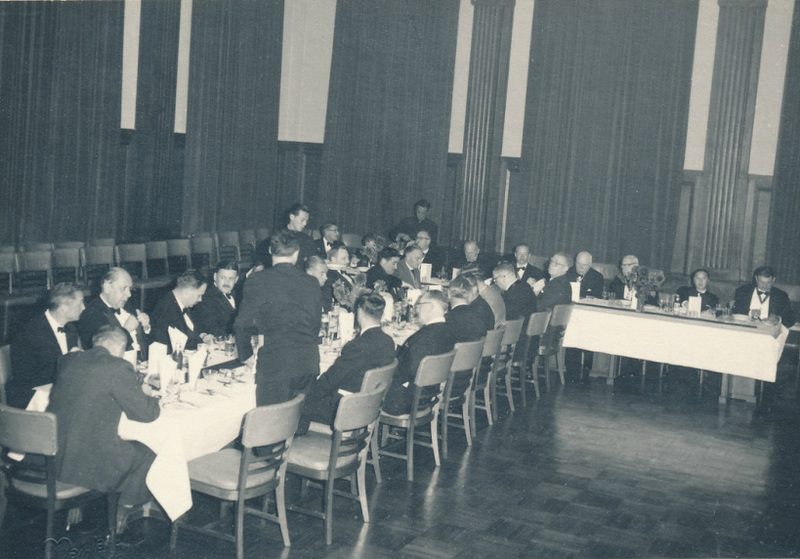 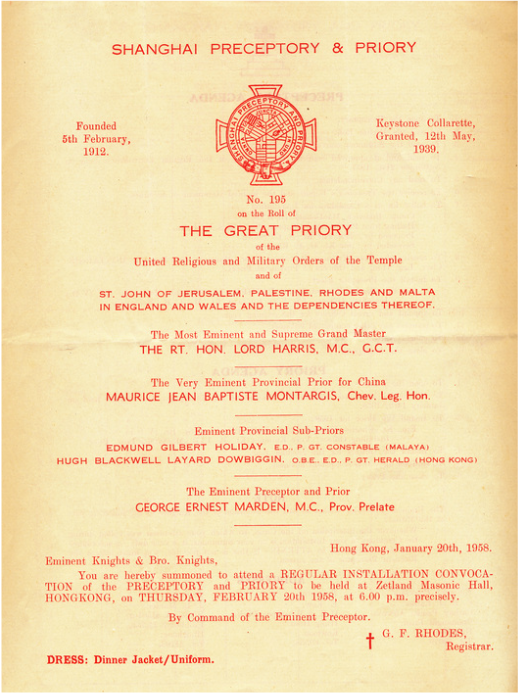 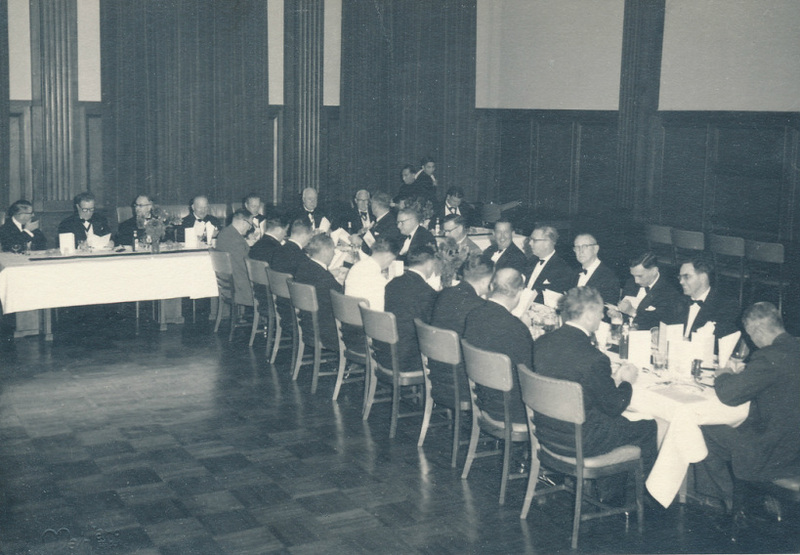 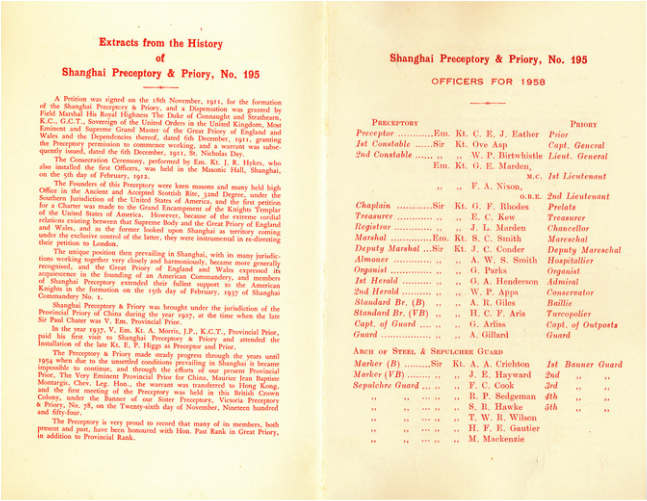 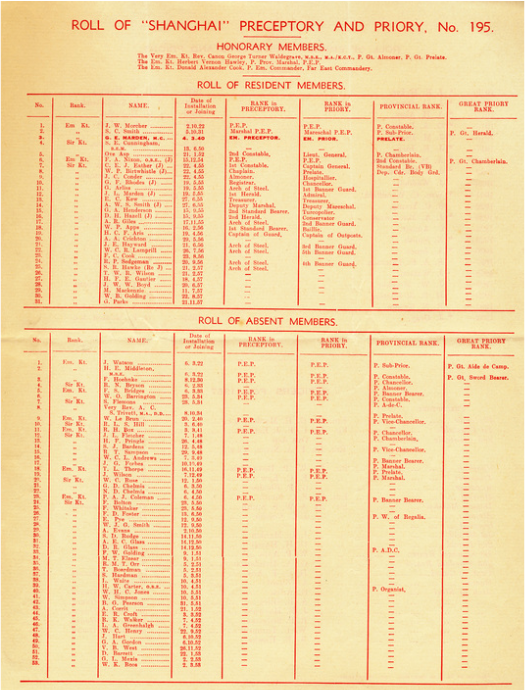 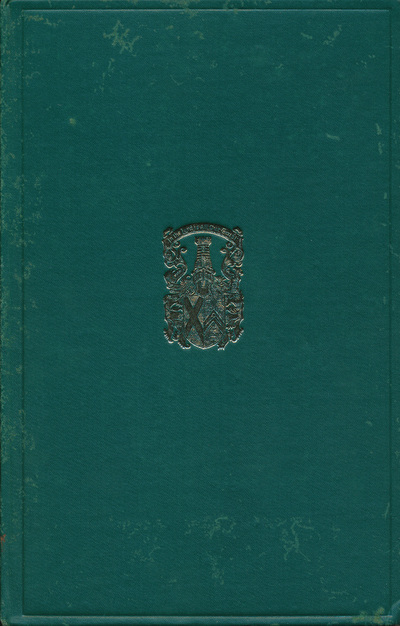 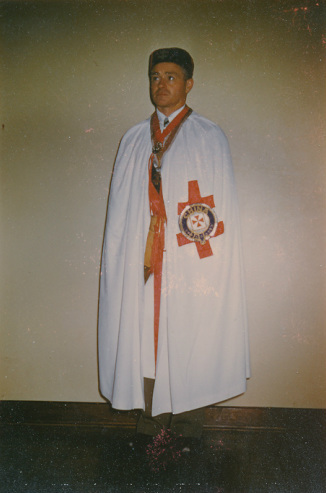 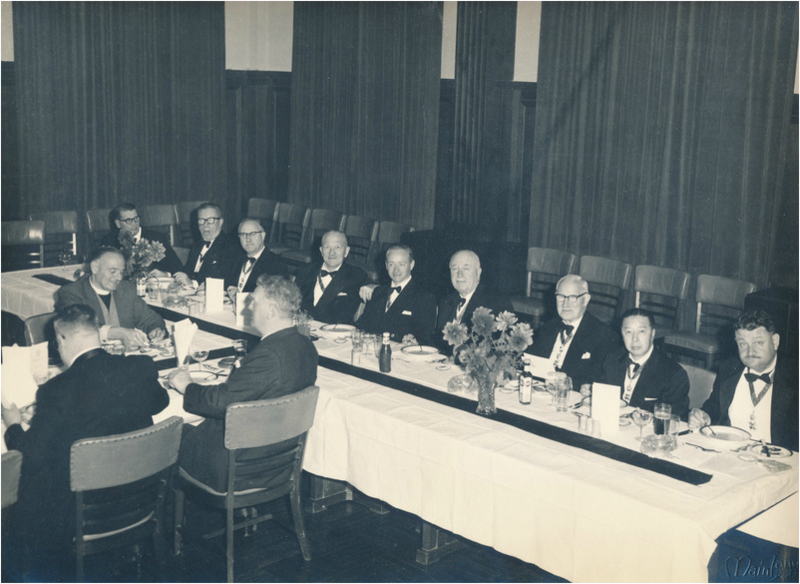 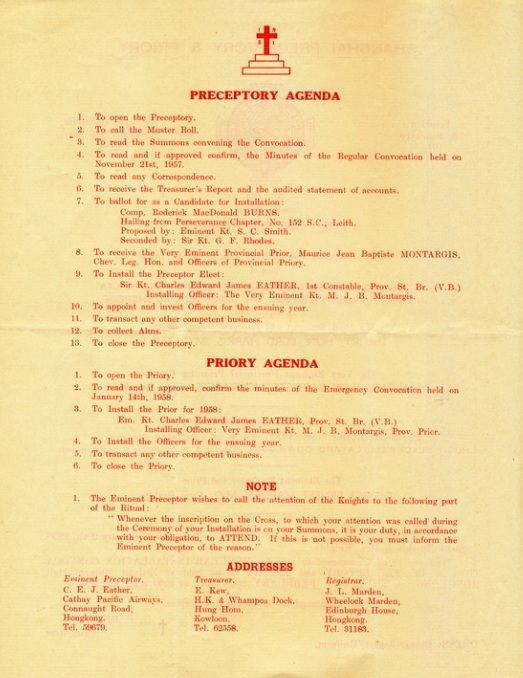 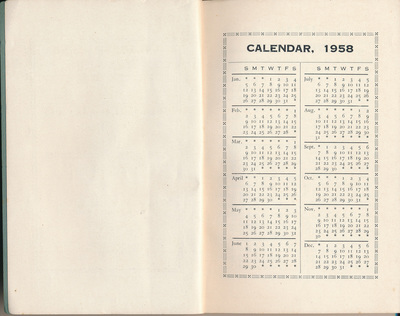 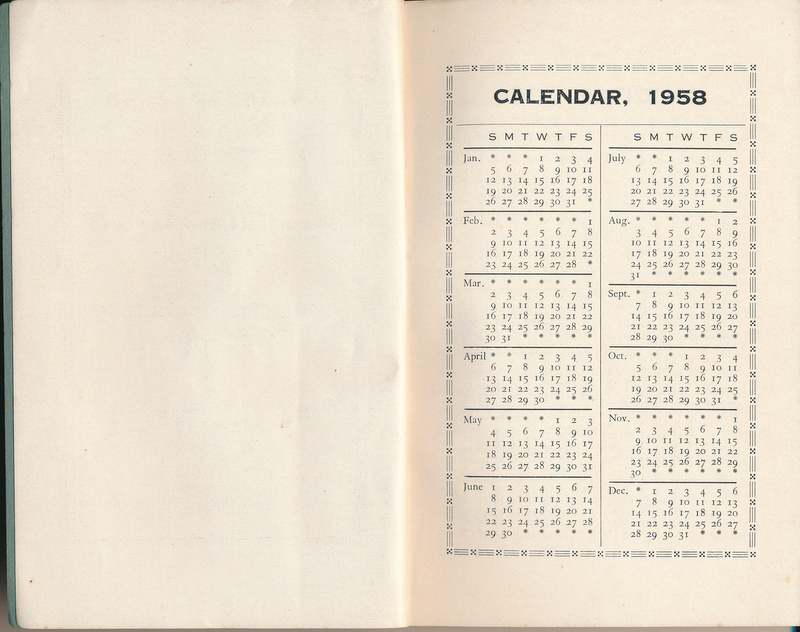 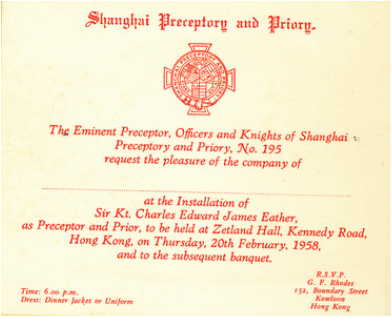 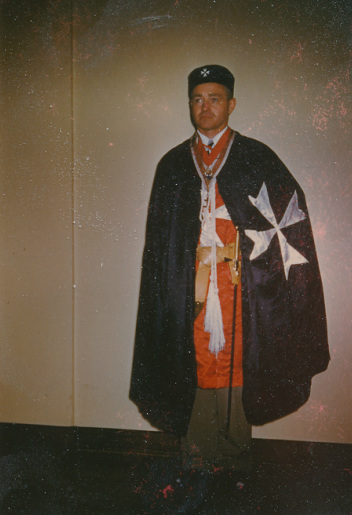 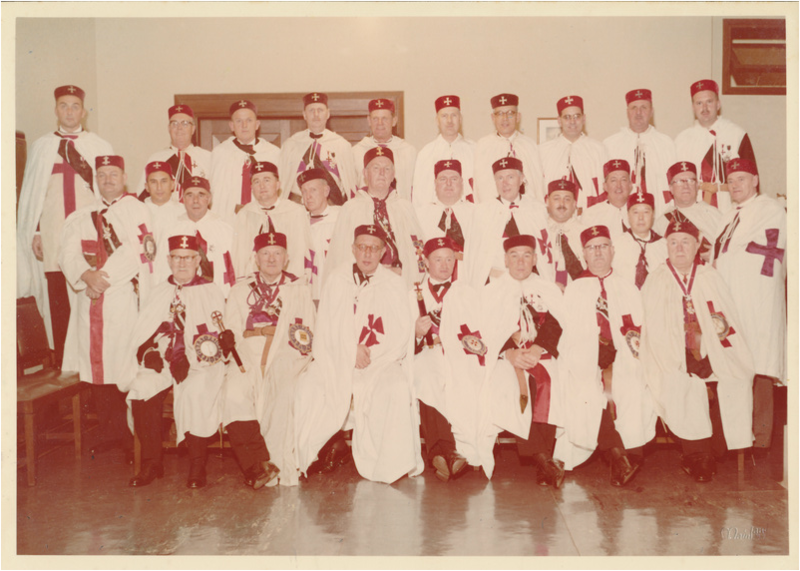 The Regular Installation and Convocation of the Preceptory and Priory - 20 February 1958. 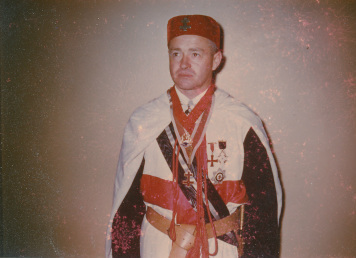 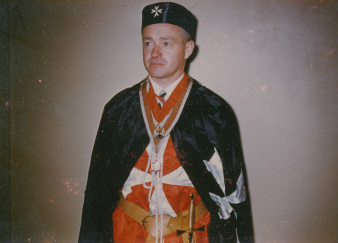 Installation of Sir Kt. 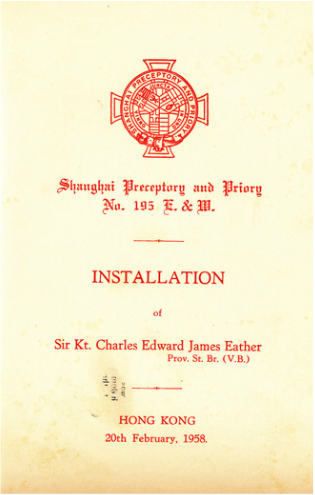 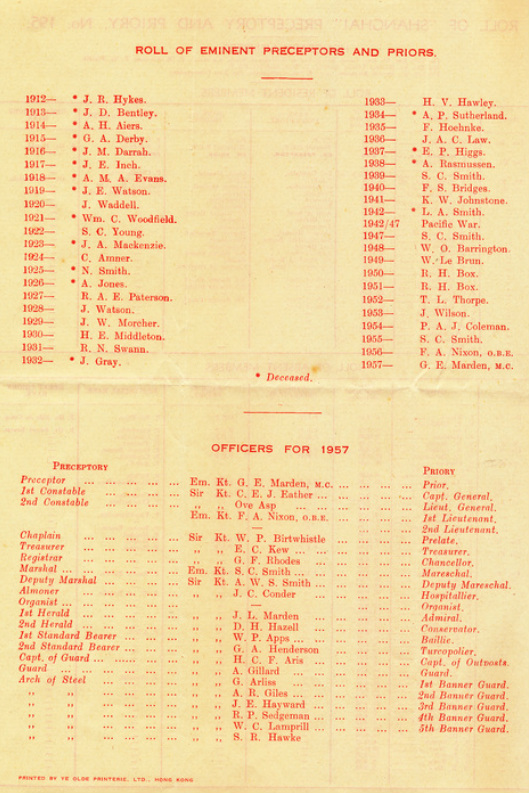 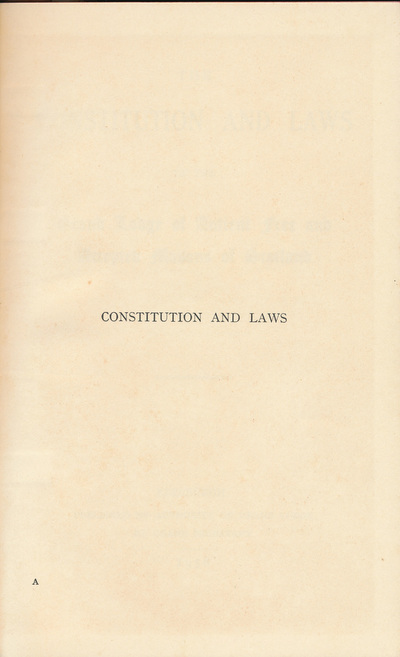 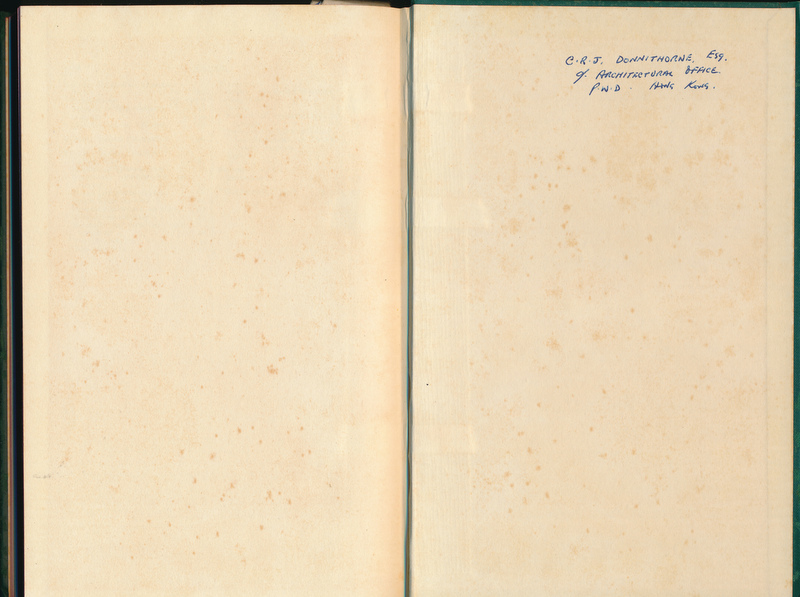 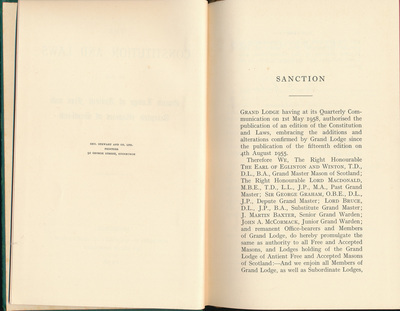 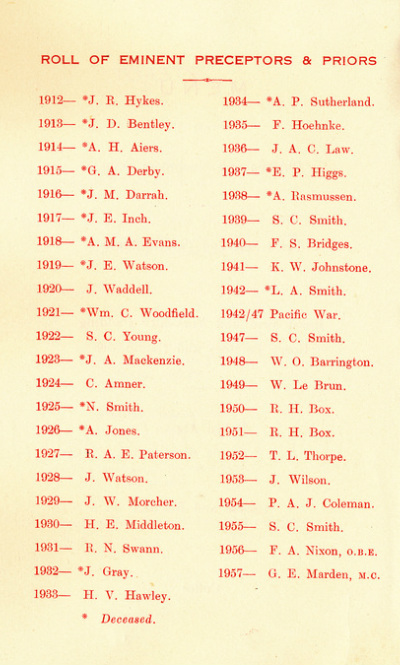 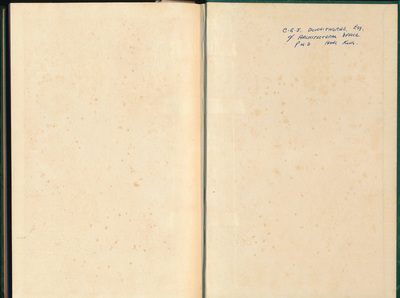 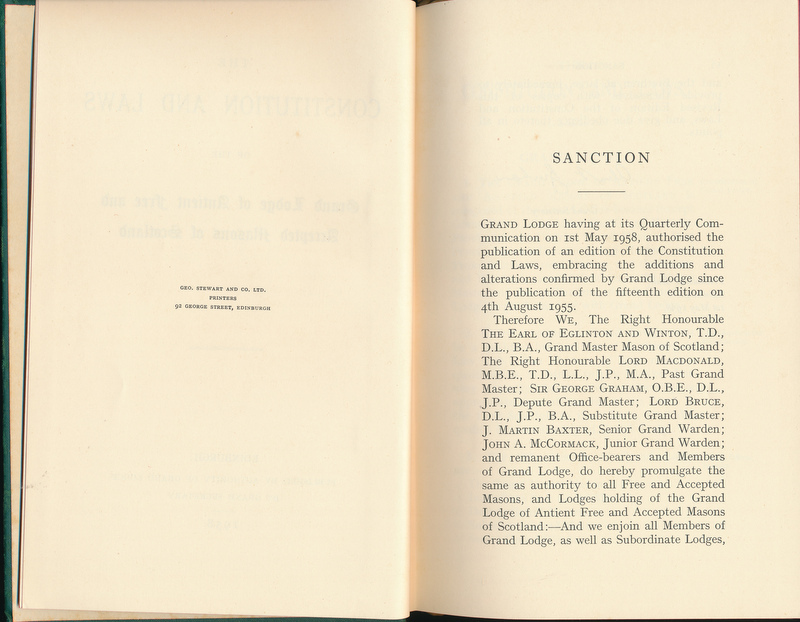 Charles Edward James Eather as Preceptor and Prior. 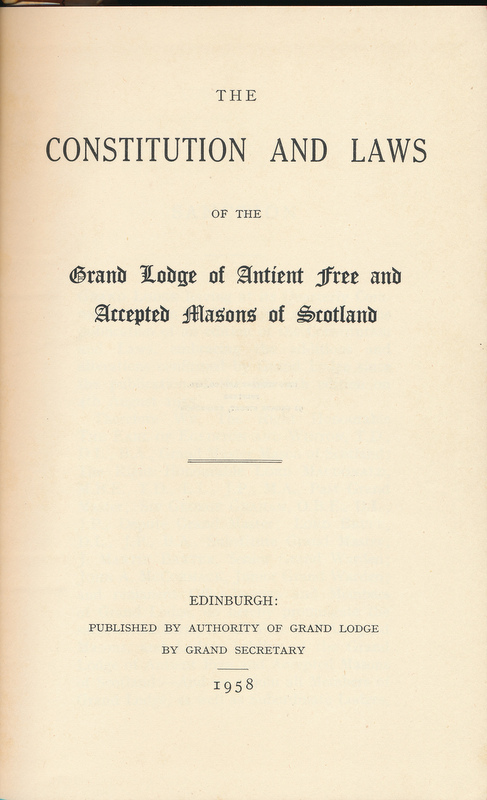 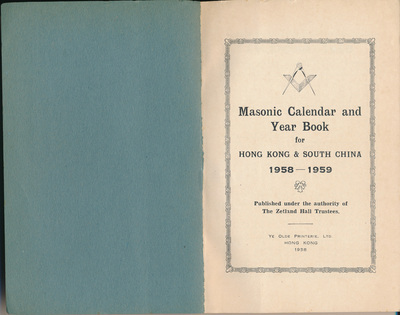 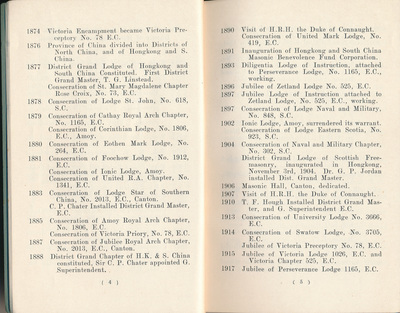 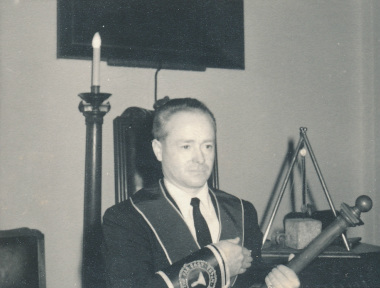 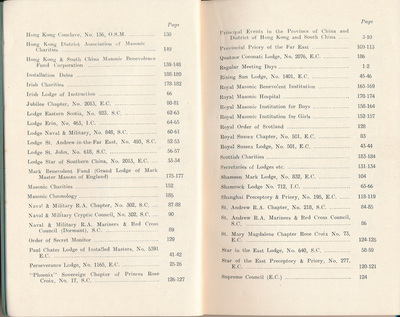 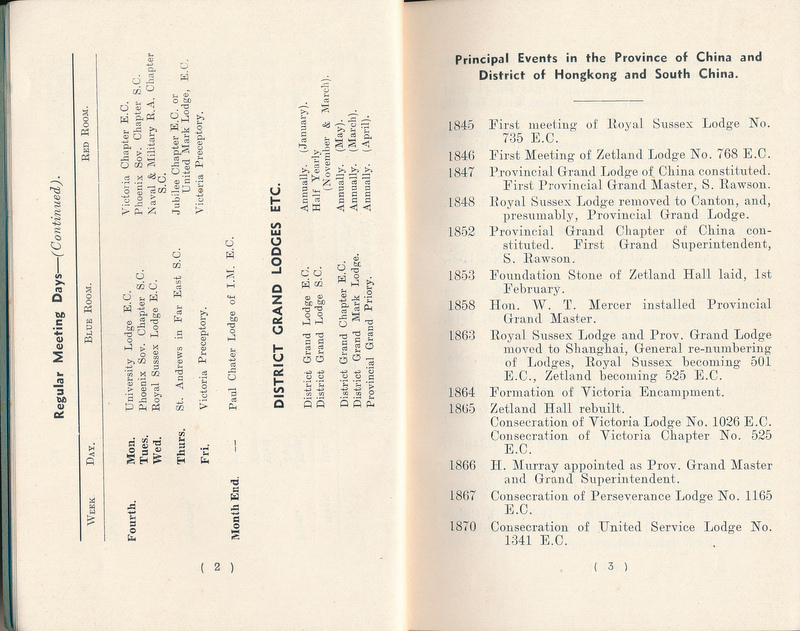 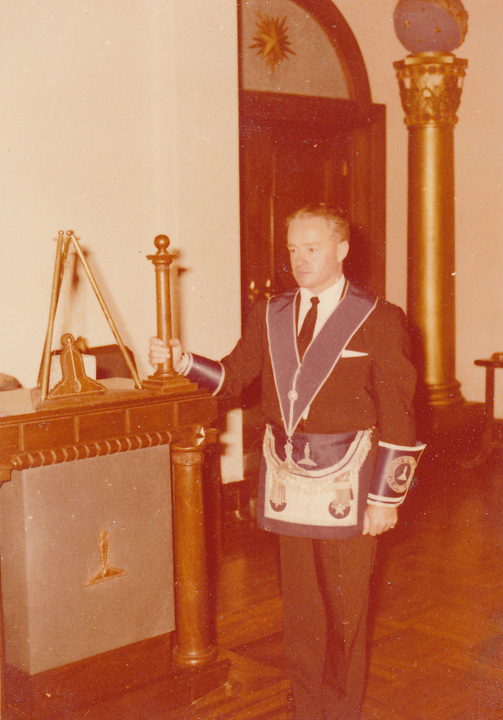 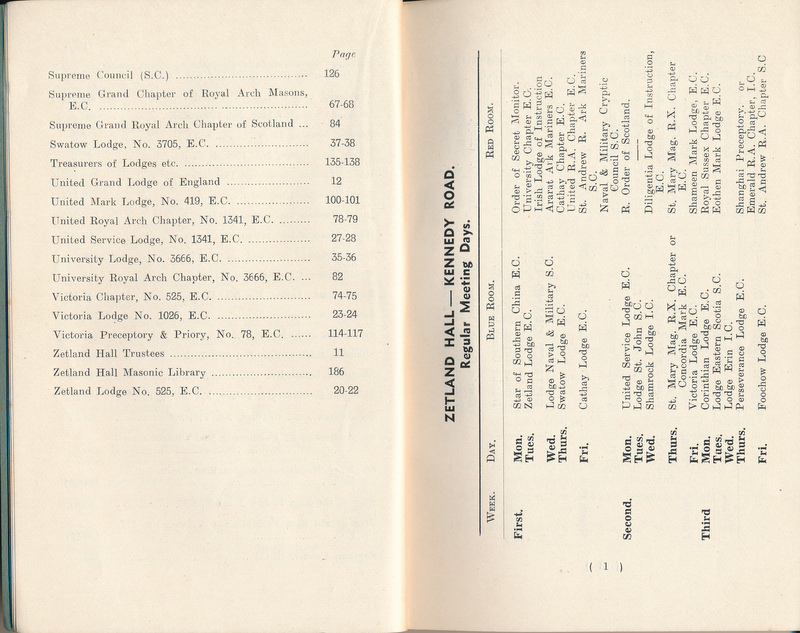 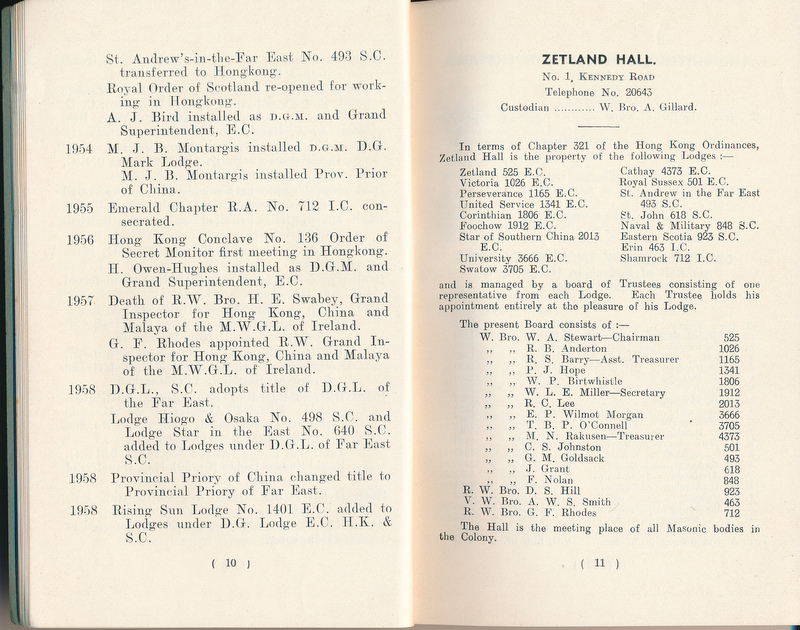 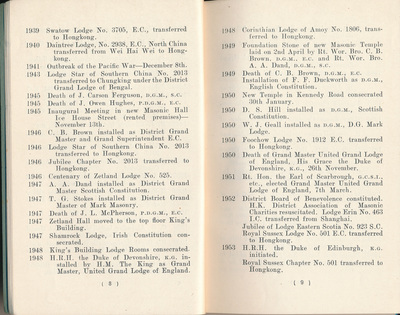 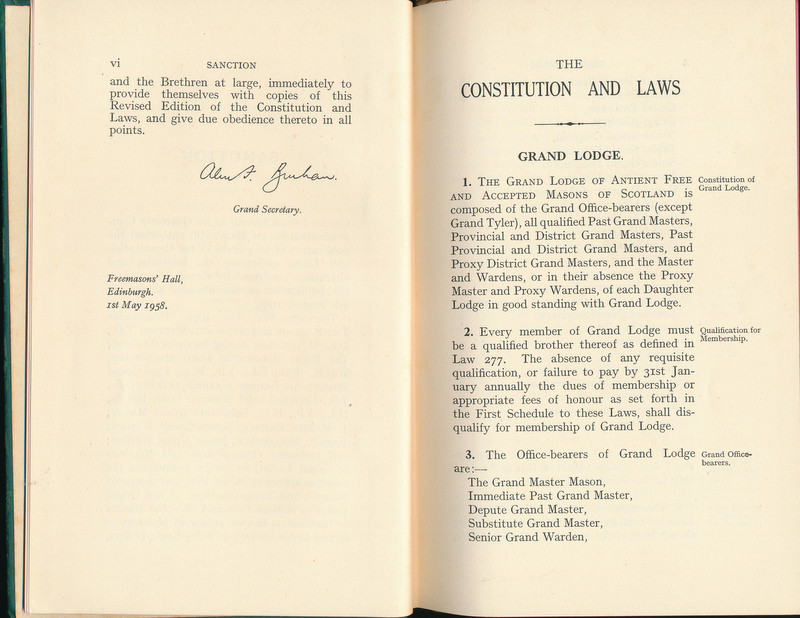 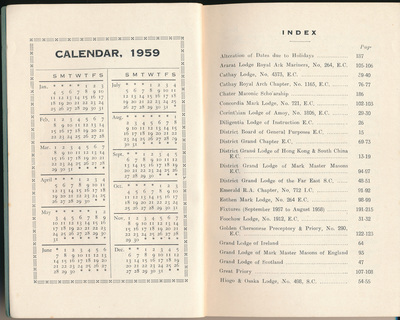 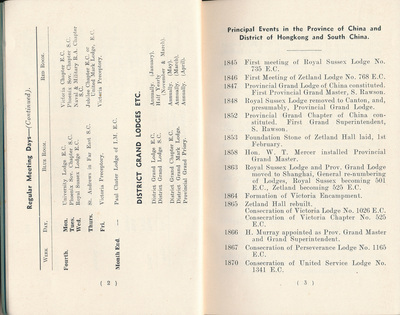 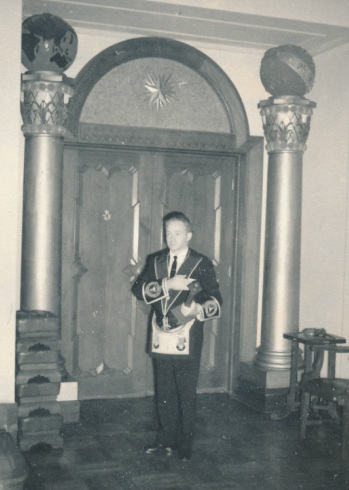 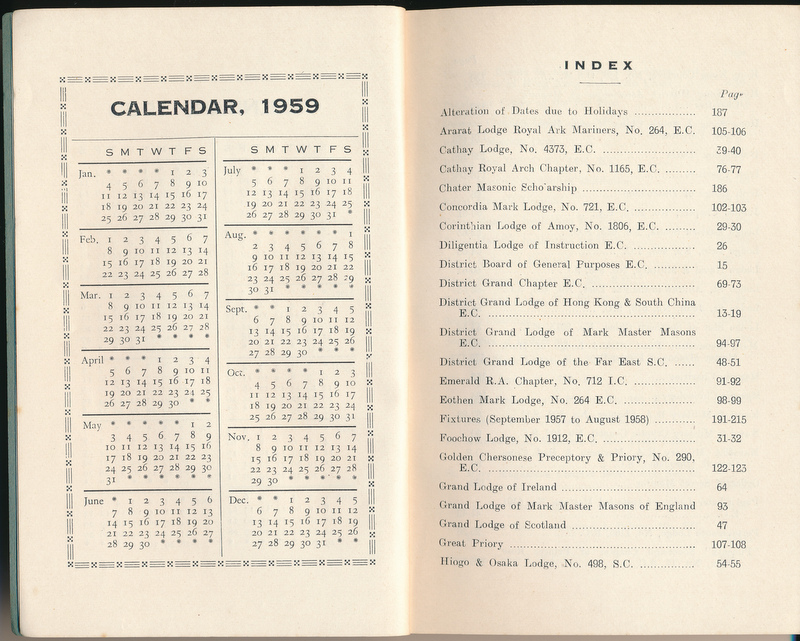 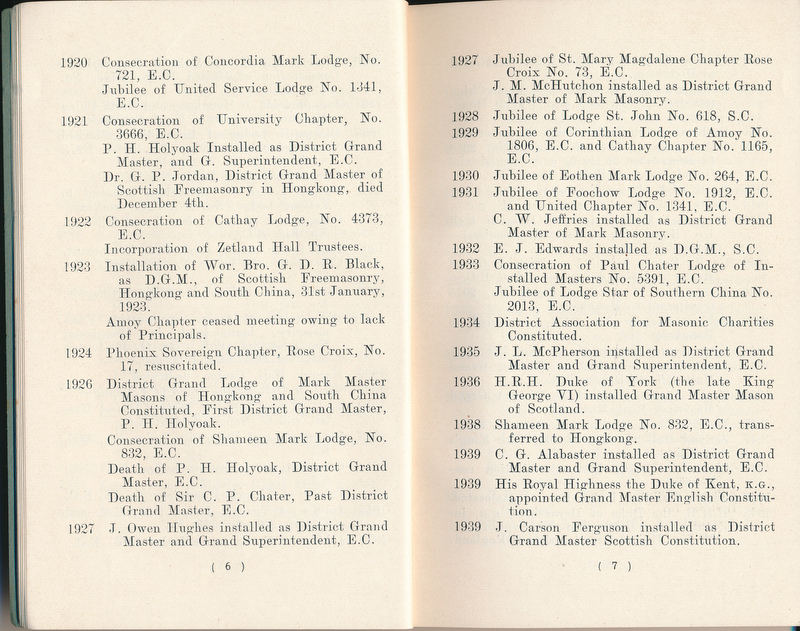 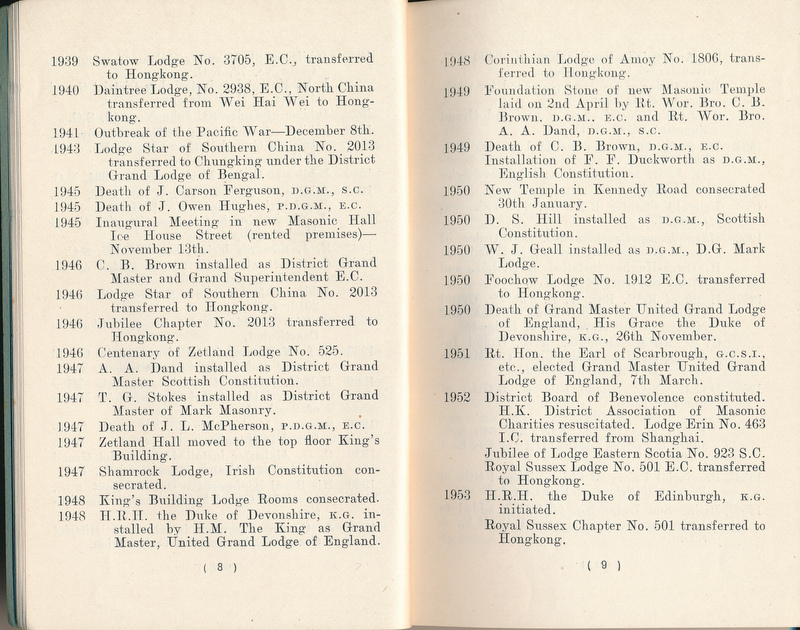 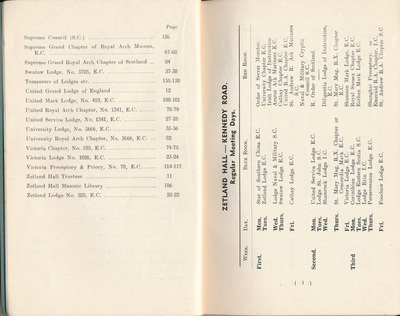 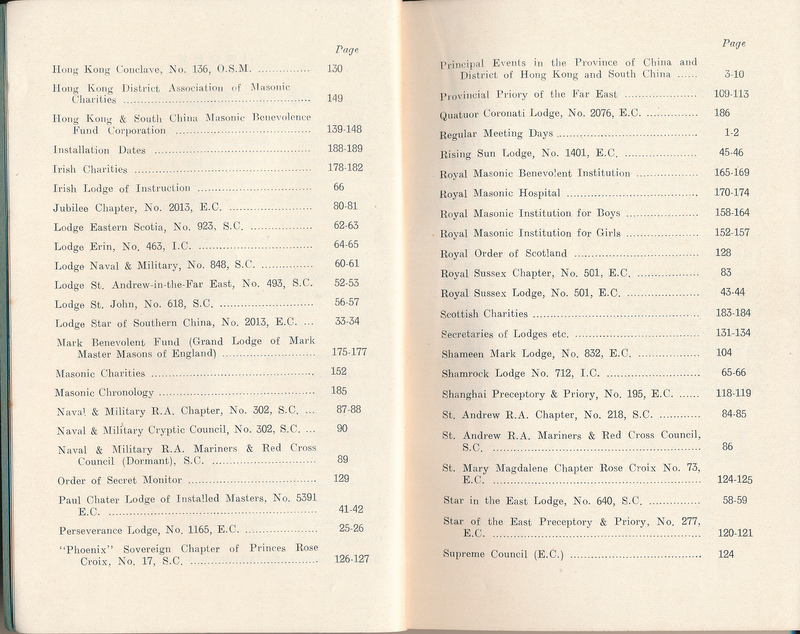 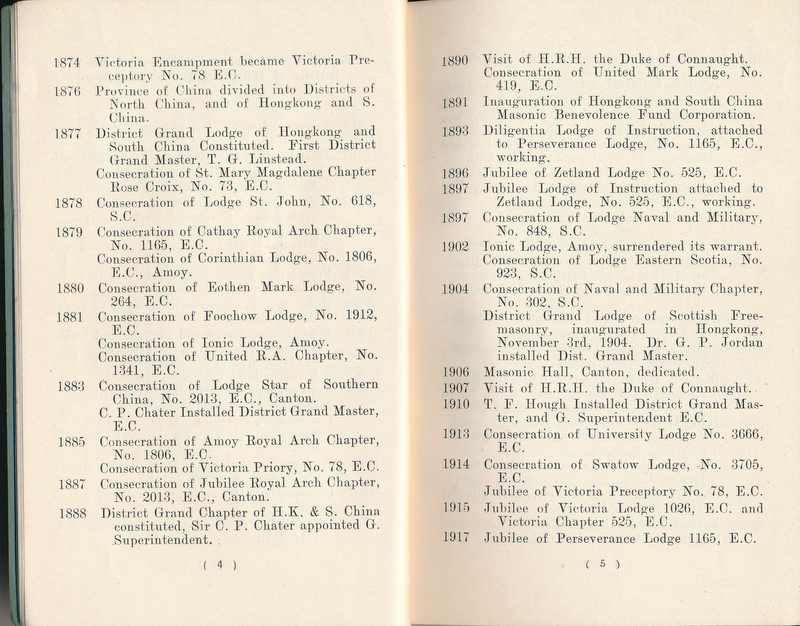 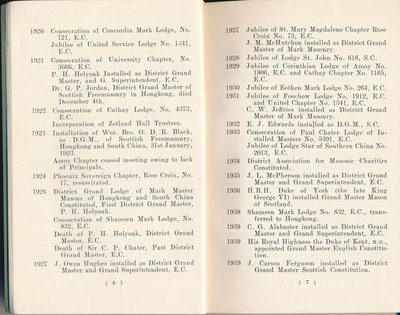 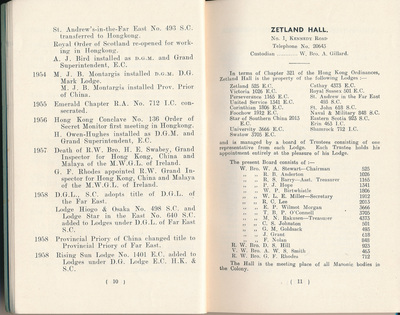 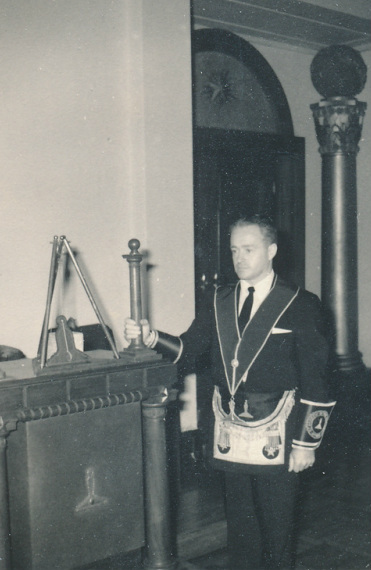 Lodge St Andrew-in-the-Far East No.493 S.C.